Game Of Thrones, which was recently inducted into the Guinness Book of World Records, continues to grow its expansive ensemble cast by adding Freddie Stroma for season six, Variety reports. Stroma recently starred in Lifetime’s breakout series UnREAL as Adam Cromwell, a disgraced royal trying to rebuild his reputation by participating in a reality dating series (a terrible plan, by the way). Prior to that, Stroma was best known for his role as dreamy Gryffindor Cormac McLaggen in the Harry Potter movies. 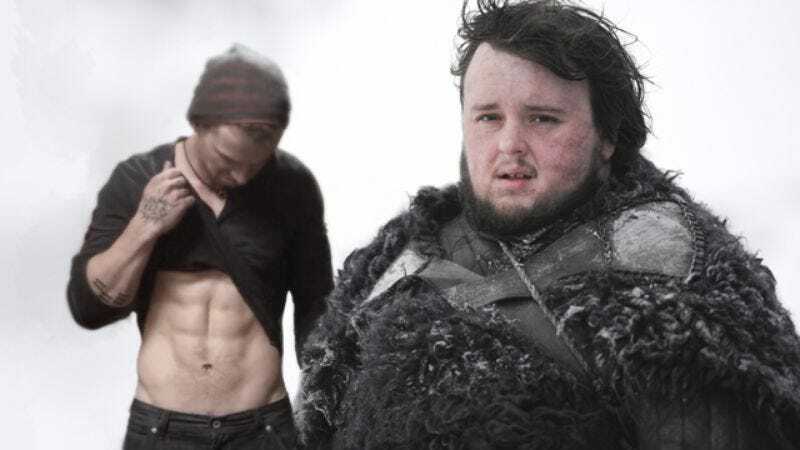 For Game Of Thrones, Stroma has been tapped to play Dickon Tarly, Samwell’s (John Bradley) brother. Samwell’s father Randyll Tarly and the rest of his family are also expected to appear in the new season. Game Of Thrones, which returns in 2016, has also added Deadwood’s Ian McShane in an unspecified role, Pilou Asbæk as Euron Greyjoy, and Max von Sydow as the new Three-Eyed Raven. UnREAL was renewed for a second season, and although there’s no official word, it’s not looking likely that Stroma will return given this latest casting news. “We don’t know. It’s unlikely,” Stroma told TVLine when asked about whether Adam would return for season two. But UnREAL co-creator Sarah Gertrude Shapiro said on Twitter last month that Adam “might” be back for another season.